We welcome Frittenden favourites Annie Dearman and Steve Harrison to the session at the Bell & Jorrocks from 8pm on the 24th November – it will be a smashing night so don’t miss out! 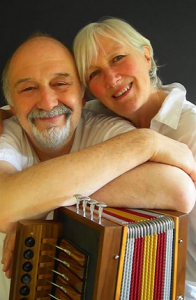 ‘Annie Dearman (voice, jew’s harp) & Steve Harrison (melodeon, mouth organs, banjo, tenor guitar, bagpipes) perform songs in a robust and firmly rooted English style, taking their repertory from traditional singers, the folk song collectors of the late 19th and early 20th Centuries, printed ballad sheets, and songs and tunes that they happen to hear and like. 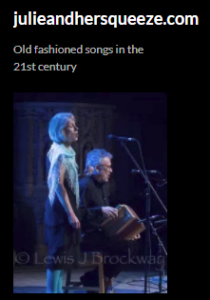 They have a particular love of songs that tell historical stories, but are also fond of American material from the 1920s and 1930s, a period when the line between folk and popular music was indistinct. 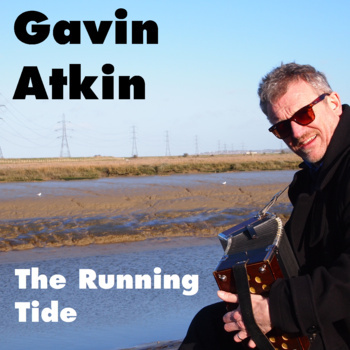 Annie and Steve also have a nice line in political songs, whilst Annie has written a few telling songs about the places in which they live and which they visit.